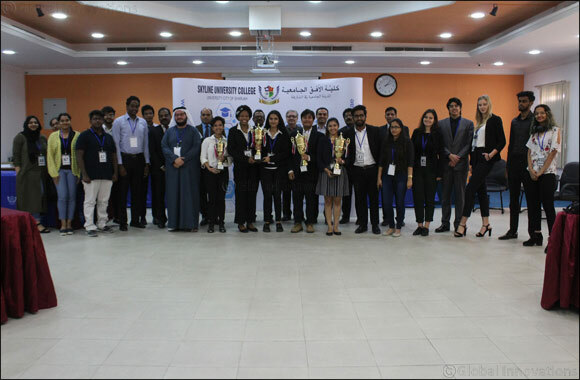 Dubai, UAE, March 04, 2018: SP Jain School of Global Management has bagged the 1st Place of the recently concluded 17th Crossfire Inter-University Debating Competition organized by Skyline University College on February 28, 2018 at SUC Multi-Purpose Hall. A total of 12 teams consisting of 24 speakers from 8 universities in the UAE has participated in the competition. The esteemed panel of judges of the event were: Mr. Sushil Maratha, General Manager at Maax Solutions FZ LLC and Toast Master; Mr. Mandar Agshikar, General Manager At Ajhinkkya FZE and Toast Master; and Mr. Ahmad Elkabany, Corporate Affairs General Manager – CISCO, Middle East. Congratulations to all the winners of this year’s Crossfire and we extend our sincere appreciation to all our external judges and the participating universities.